Teams use different terminology to identify their offenses and defenses, so why should you have to learn a new system to use our app? We didn’t think you should have to either. That’s why Football Play Card has the ability to change the names of all personnels, formations, fronts, and coverages so that the app uses your team’s verbiage to create play cards. 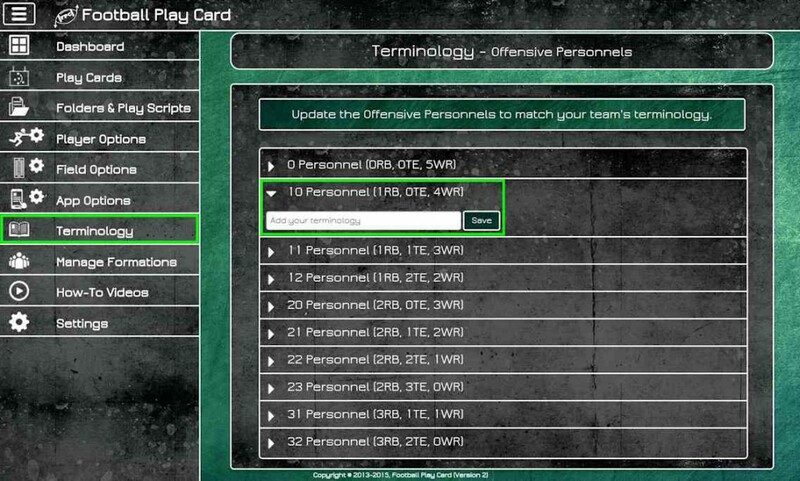 This entry was posted in Quick Tips and tagged Football Play Card, Terminology. Bookmark the permalink.